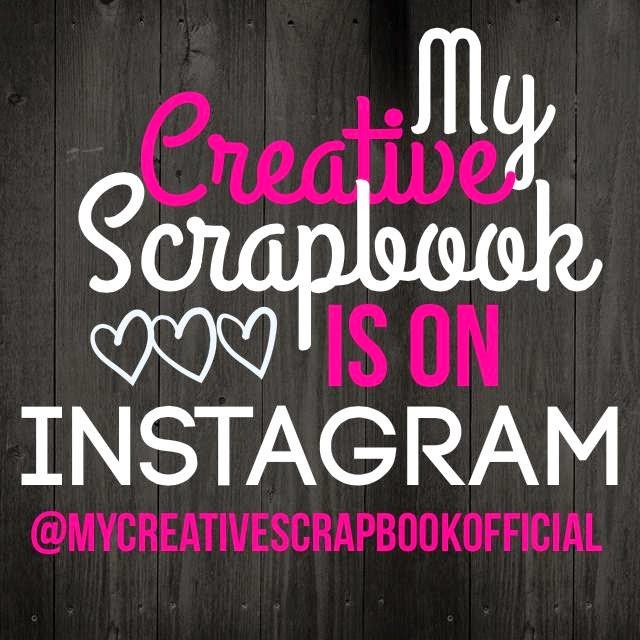 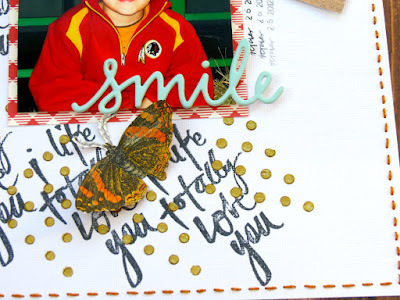 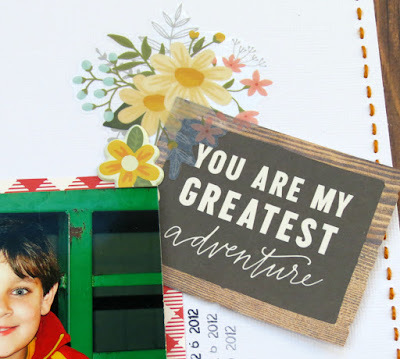 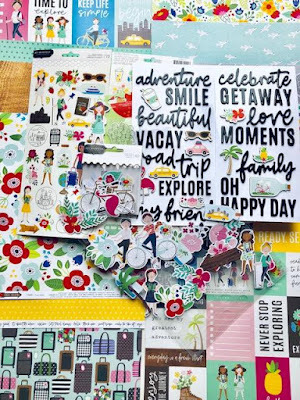 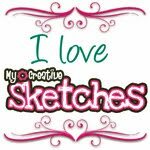 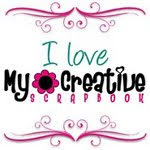 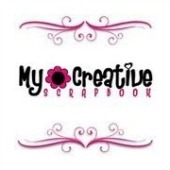 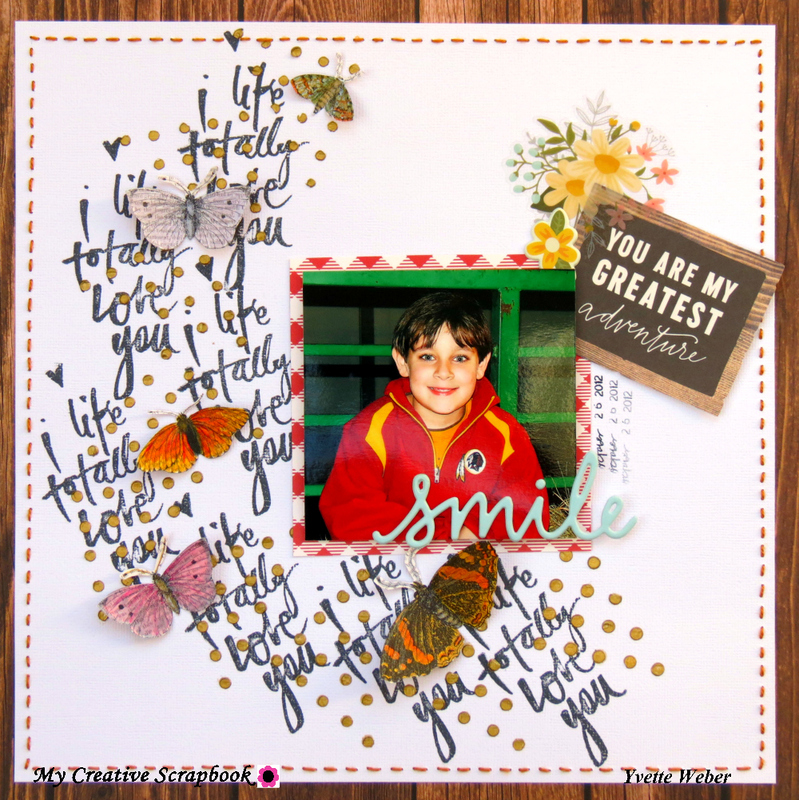 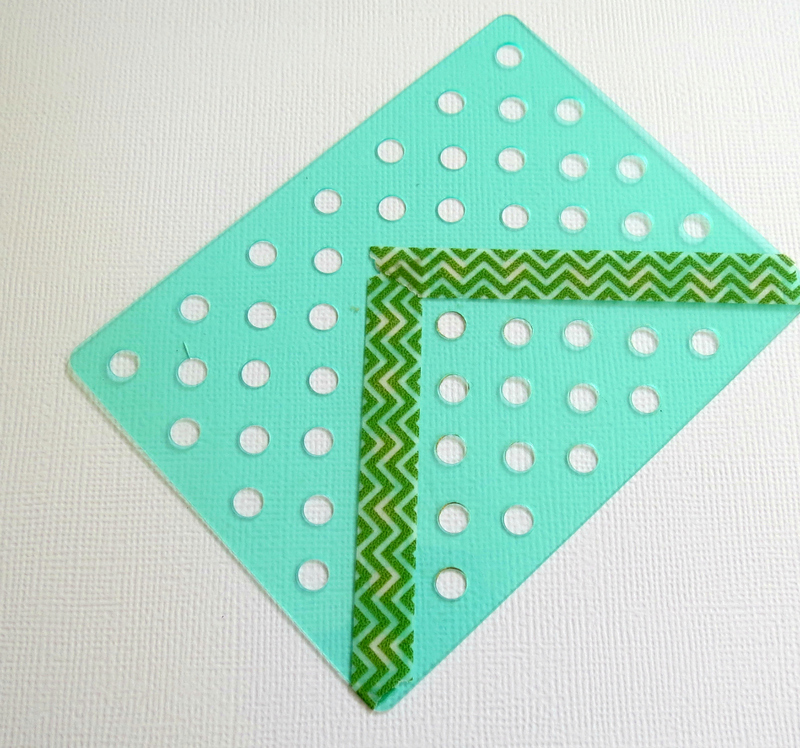 My Creative Scrapbook: Stamp and Stencil Tip by Yvette Weber! Stamp and Stencil Tip by Yvette Weber! 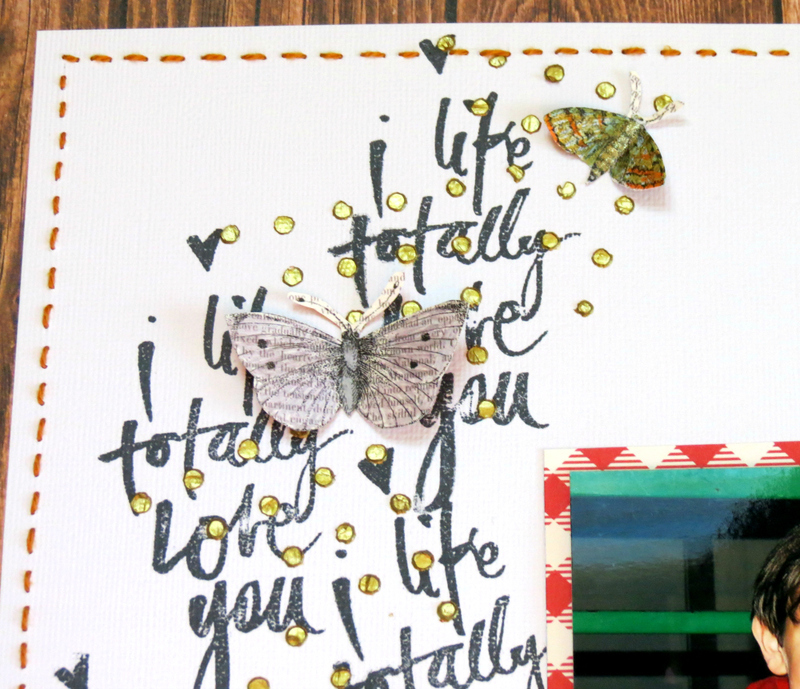 For my tutorial today I decided to use the Heidi Swapp stamp and stencil set which came in this month's main kit. Here's a look at the layout I created using the stamp and stencil! 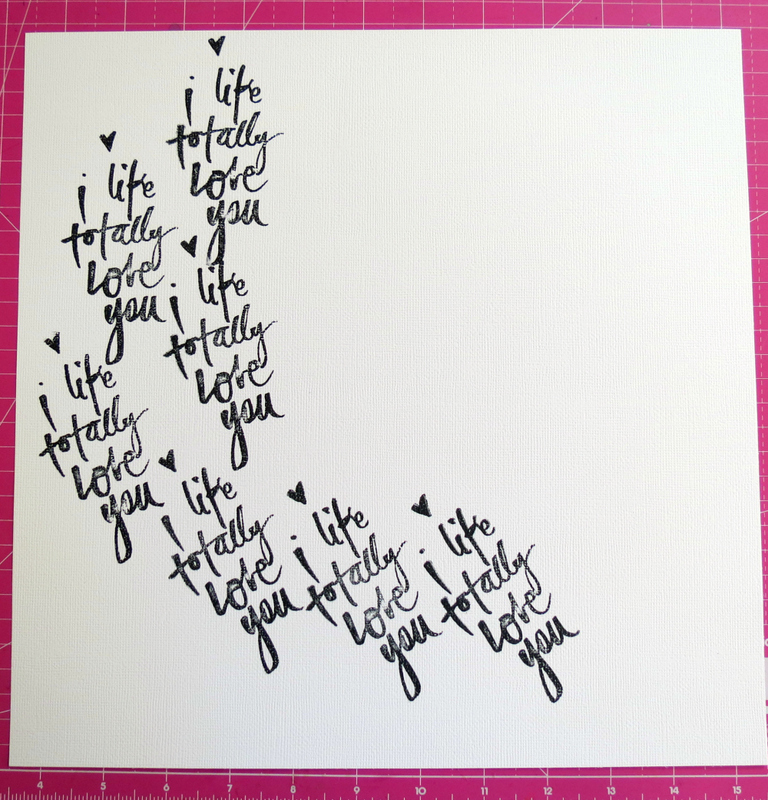 I started with a 12x12 sheet of white cardstock and cutting it to the size of 11x11. 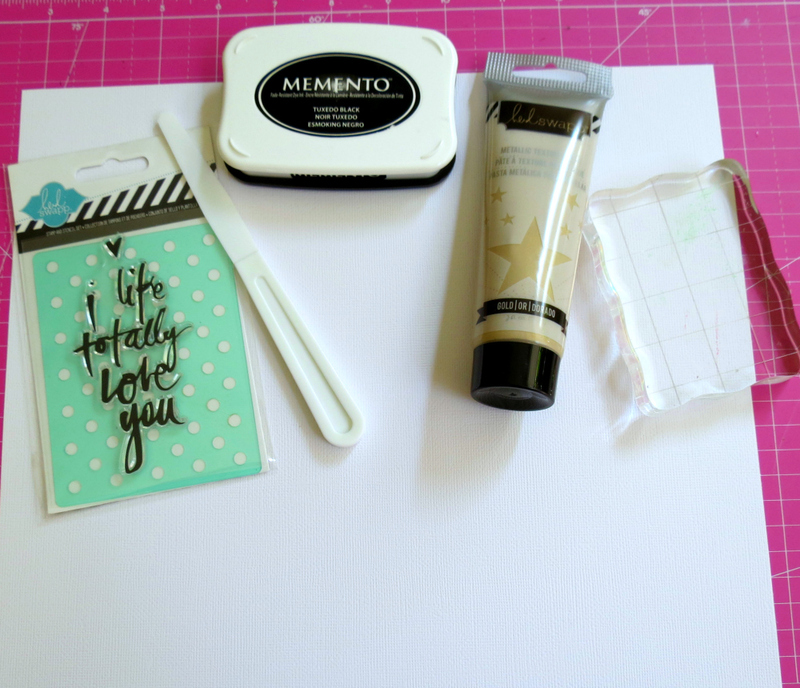 Using the Memento in tuxedo black, I stamped the Heidi Swapp phrase in a half circle which created a pattern going from the bottom of the page and up the left side. 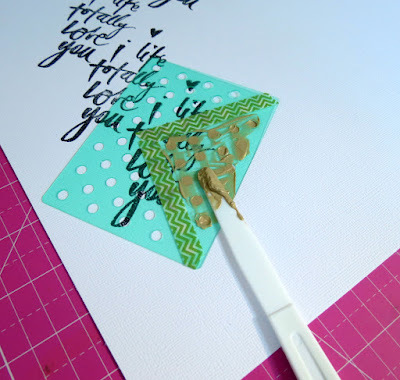 Next I took the stencil and use some washi tape to mask off only the areas I wanted to use. I then apply the Metallic texture paste using a plastic spatula on top of the stamped area, following the same half circle design. 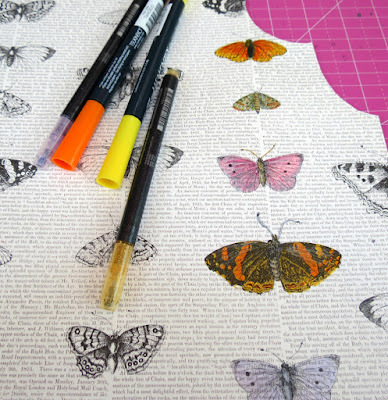 Before I fussy cut the butterflies out and while I were waiting for the paste to dry, I colored in some of the butterflies using Memento markers and Copic Atyou Spica glitter pens. Here you can see I back the white cardstock with a woodgrain 12x12 patterned paper and added hand stitching all around the edges. 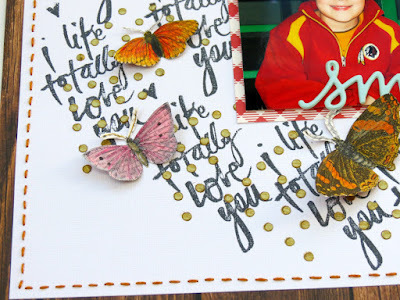 I love the added texture and interest this create.